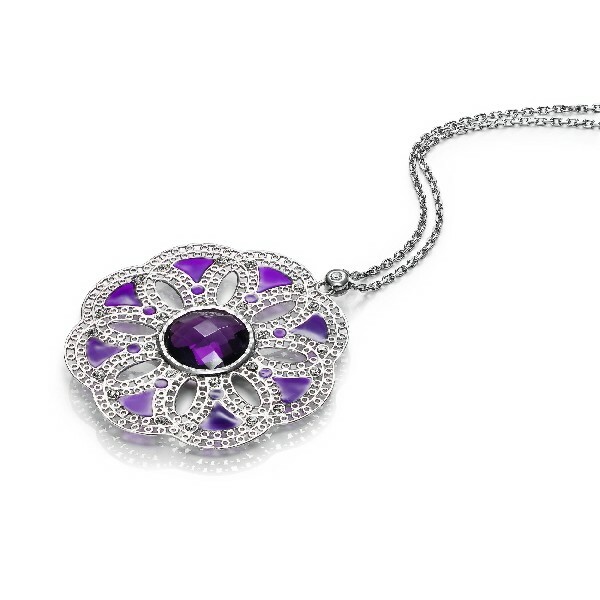 Pendant VICEROY JEWELS silver of law 925 mm. Rhodium-plated silver. Stones, enamel and glass purple. Size of chain 45 cm.